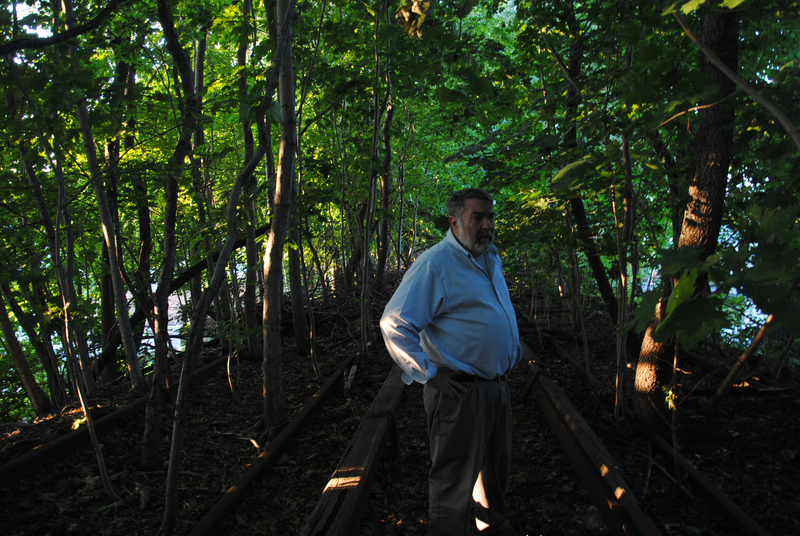 From the backyards of houses on 98 Street in Woodhaven, Queens, an outsider would be hard pressed to pick out the defunct Rockaway Beach Railway Line through dense trees and heavy vegetation. 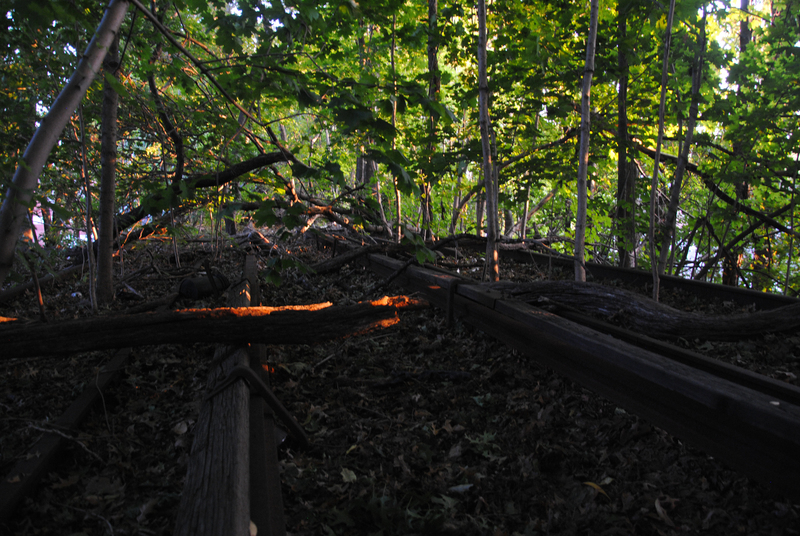 Decades of neglect have allowed the second-story high berm of railroad slag to slowly sink back into the earth. After over fifty years of abandonment, two opposing plans now aspire to transform the rail line into a modern transportation route in Queens. But for many residents with property adjacent to the line, no plan is a good plan. “We don’t want Disneyland here,” said Neil Giannelli, 98 Street resident and leader of the opposition group No Way QueensWay. The QueensWay, a plan proposed by the groups the Trust for Public Land and the Friends of the QueensWay, would recreate the rail line into a hiking and biking trail, with new exercise equipment, food carts and connections to existing parks. Other community members propose a reactivation of the rail line that once provided transportation from Rego Park and Forest Hills south to the Rockaways. But many residents, especially those with residential or commercial property abutting the line, oppose any plan at all, feeling that it would better be left alone. After a half-century of disuse, some residents disagree with the practicality and safety of the new plans, along with the nuisance any changes would bring. 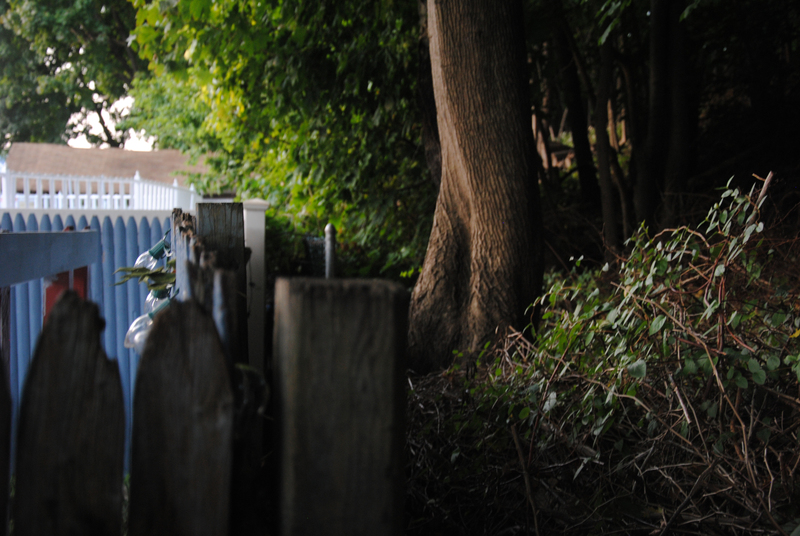 For those neighbors on 98 Street, the current railroad berm is mere feet from their rear property lines. Already-close property lines were made closer in the late 1960s. After the last train rolled down the line, the Long Island Rail Road sold the land to the city, which then sold parcels of horizontal land strips to homeowners. 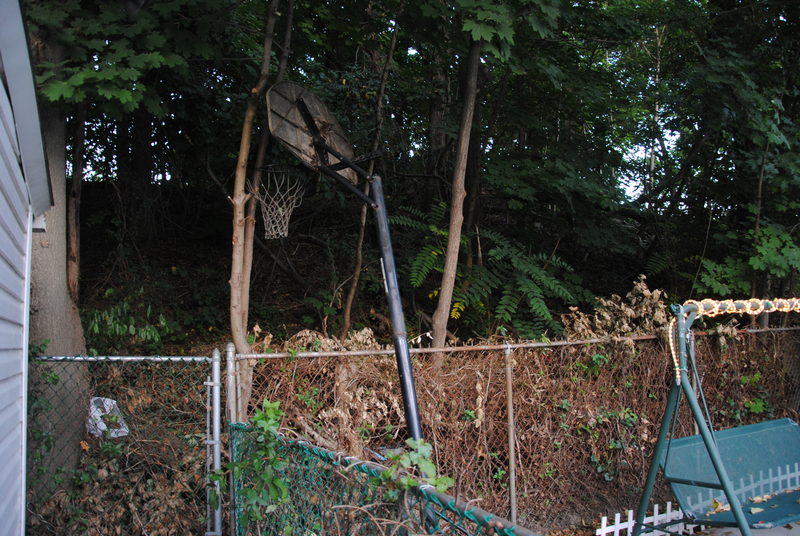 Backyards that were already close to the line became on average 20 feet closer, if the then homeowner took the deal. 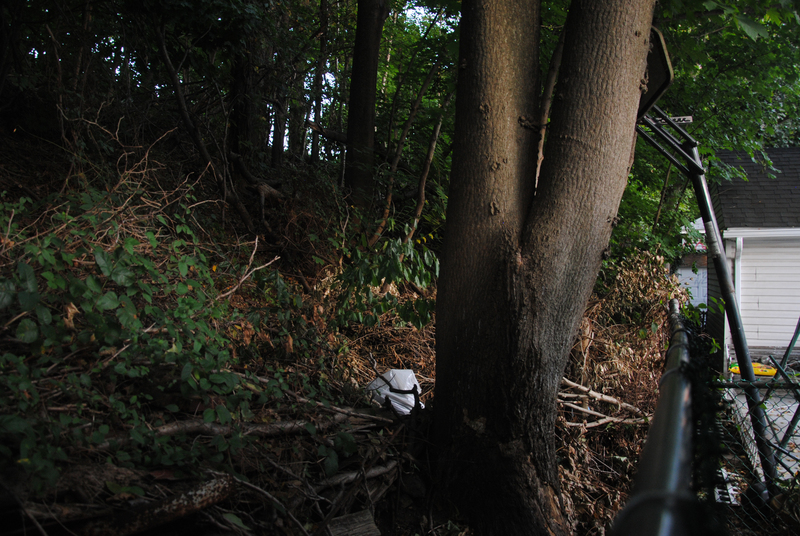 Though members in support of the QueensWay have claimed there has been property line extension in the last decades, there has been no widespread encroachment on the city land, according to the NYC Department of City Planning. For those 98 Street residents, this truly is a fight of Not in My Backyard. Of those in opposition to the proposals, most do not completely oppose any change. Assembly member Mike Miller has recommended a compromise of the two plans, with no change to the middle rail section running in Woodhaven. “We can have three sections making everyone happy,” Miller said. Even with this compromise, community members worry about the maintenance and funding of any new construction when the current berm, and other parks in the area, are already lacking the time and attention from the city. 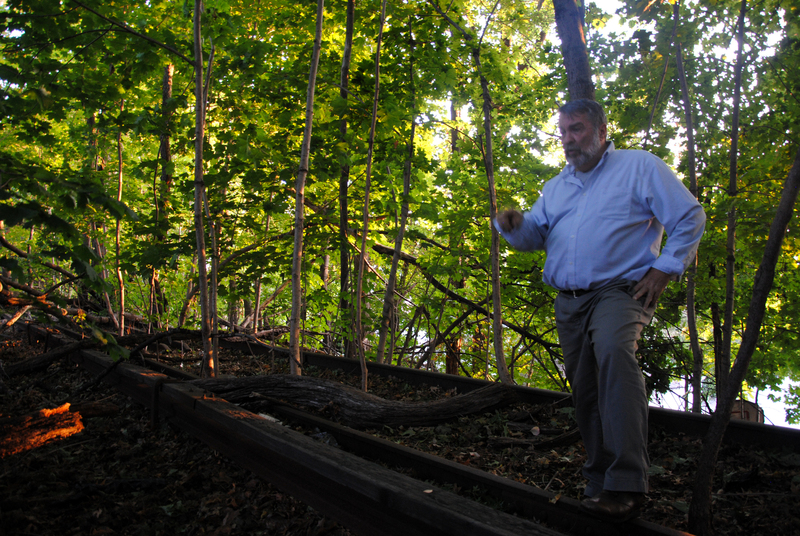 Ed Wendell, president of the Woodhaven Cultural and Historical Society and member of Council Board 9, sees the funding needed in other Woodhaven parks.